New Dry Gas Seal Booster (440ANV085-0000) - Gas Compression Systems, Inc. New Dry Gas Seal Booster (440ANV085-0000) - Gas Compression Systems, Inc.
Midwest Pressure Systems expands its DGSB product line with a new Dry Gas Seal Booster model (440ANV085-0000). This booster was built to be cost effective for specific applications. The final booster design successfully managed more than 20,000,000 cycles during testing without issue and with normal wear. 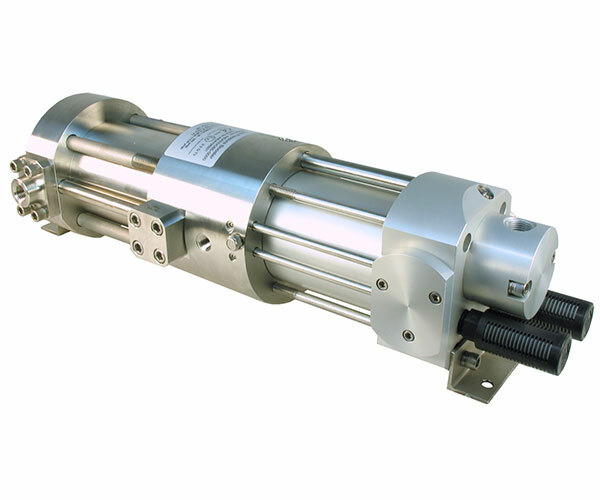 This booster has a 316L SS process gas section and an anodized aluminum drive section. It provides high flow up to 10.2 Am3/hr and differs from our previous designs because the control valve mechanism is machined into the air cap. The booster can be assembled with any o-ring type to match environmental requirements.